Does your child love reading all about fairies and fairy tales? Here's a coloring page that's sure to please. This imaginative picture features a young fairy working her magic amidst an array of beautiful stars and flowers. Color in this fairy as she lounges on the beach and relaxes in the summer sun. This pretty coloring page of a fairy and peonies will be fun for your child to color, especially if she likes pixies and fantasy. 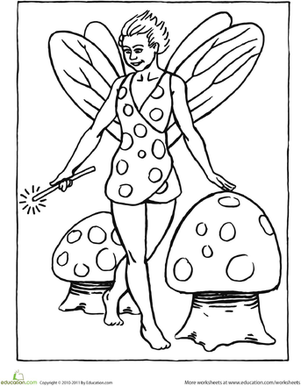 Your child will delight in adding color to this golf-playing fairy. Encourage your child to add additional details to the picture. 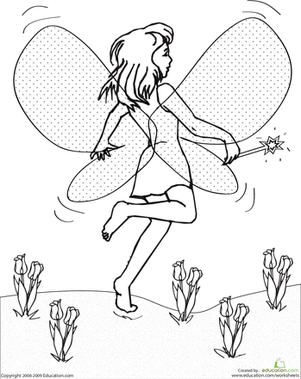 Your child will love coloring in this cheerleader fairy. 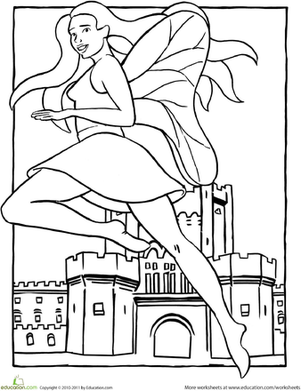 Your child will be encouraged to color in this fairy's uniform with her favorite sports team's colors. 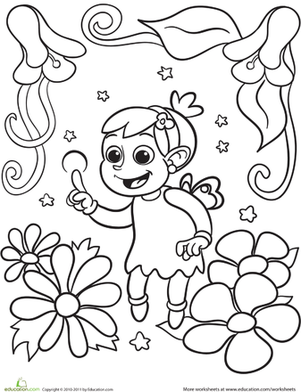 Your child will enjoy using her imagination to color in this sports fairy. Lovely on the Lanes is complete with wings modeled after a bowling ball! 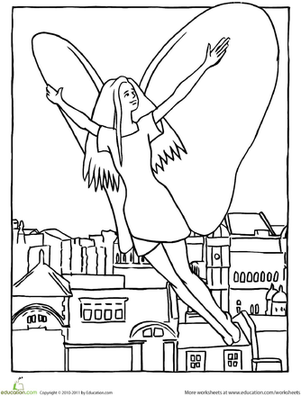 Encourage your child's creativity by having her color this image of a soccer-playing fairy ready to make a goal! She will also learn to imitate patterns.